Are you considering becoming a Yoga Instructor? Or even if you have no desire to teach, would you like to increase your knowledge and expand your personal practice? Yoga Assets is offering a special Yoga Teacher Training program in Logan, Utah in starting in January 2019 that is open to everyone. This 200-hour program will qualify participants for a 200-hour RYT registry status with Yoga Alliance, the premier measure of professional education in the yoga teaching community. Our focus is on teaching yoga to the general population. Many yoga training programs will focus on teaching in the studio setting. This program will go beyond the traditional yoga studio environment and give you the tools and knowledge necessary to teach yoga that is approachable and accessible to ‘all fitness levels’ in gyms, community recreation centers, schools and corporate settings. This program will begin on January 18 and go through June 23, 2019 . Classroom time will be one weekend a month, Friday, Saturday and Sunday from 8am-6pm. This program is offered at a substantial savings when compared to other Yoga training programs. If you have questions, contact denise@yogaassets.com or just drop us a note to say I’m IN! Amy Davis and Shelley Dawson will be your leaders! Shelley Dawson E-RYT200/RYT500 resides in Logan Utah with her husband and 5 beautiful children. She is passionate about health and fitness. She is the Director of the STOTT Pilate’s program at Sports Academy. She loves motivating, inspiring, and assisting others on their journey to health. Do you want to participate in this program? Not sure if it’s right for you? Send a message to Denise at: denise@yogaassets.com. Analytical training in how to teach and practice traditional yoga techniques. Pose breakdown and alignment principles for safety and injury prevention. Guided practice of the techniques themselves. 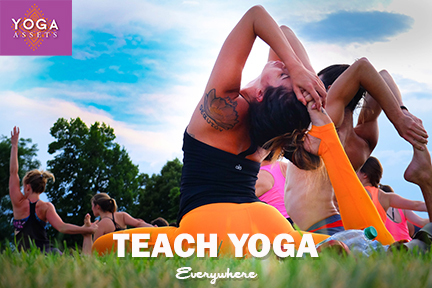 Includes principles of demonstration, observation, assisting and correcting, instruction, teaching styles, teacher development, student learning strategies and business aspects of teaching yoga. A unique feature of this program is our ‘field trip’ to a human anatomy lab where we work with real human cadavers. Includes the study of Yoga philosophies, Yoga lifestyle and ethics for Yoga teachers. Includes practice teaching, receiving feedback, observing others teaching and hearing and giving feedback. Students will have access to some unique and specialized training programs that are offered exclusively by Yoga Assets teacher training, including access to a human anatomy lab and work with a professional vocal coach. If, for any reason you need to cancel your registration prior to the session start, the full amount, minus a $100 administrative fee will be refunded. NO refunds will be provided after the 2nd week of the beginning of the YTT program. If a student has used materials in the first two weeks, the cost of the materials will be deducted from the refund amount. Tuition may be forwarded to another semester.